My Time Made Easy Giveaway! Welcome back to our Preview day 2 at My Time Made Easy ™ LLC. Our official release is March 1st. We all have so much to share, so I hope you will take a moment to visit our talented designers, because if you do you could have a chance to win an amazing prize package!! Today we'd like you to leave a comment HERE telling us WHO had your favorite project so far and what you liked about it. On the 1st we will randomly pick a winner to receive the ENTIRE release collection! My Time Made Easy March Preview - "Egg-stra Special"
Hi everyone! Are you ready for spring? I sure am! It will be here before we know it! 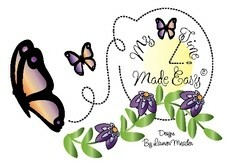 And My Time Made Easy is ready too with their March release which has some fabulous items for spring! We are previewing two new templates today, and the entire release will be available on Friday, March 1st! I'm using the new template called Egg-stra Special. 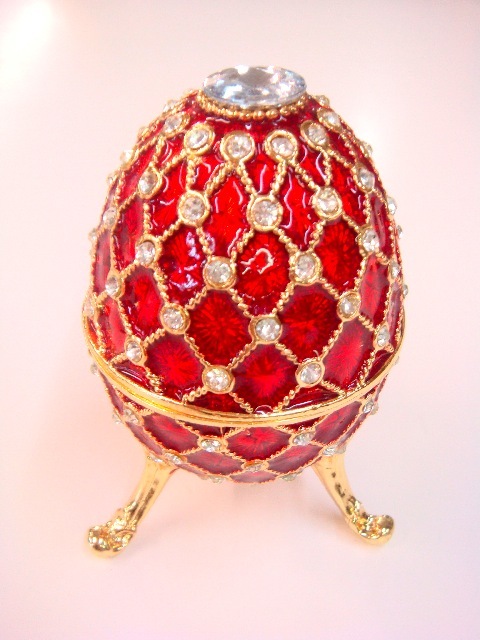 You guessed it...it's an egg, but I made mine into a Faberge egg! I Googled them and found this one that I fell in love with and used it as my inspiration! 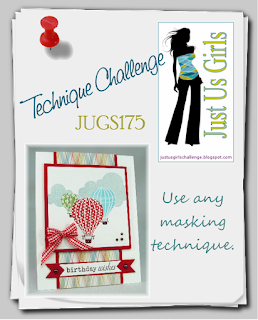 You can see more of this template and the Display template by visiting these blogs. Thanks for stopping by! Don't forget to check back on Friday to see the entire release! 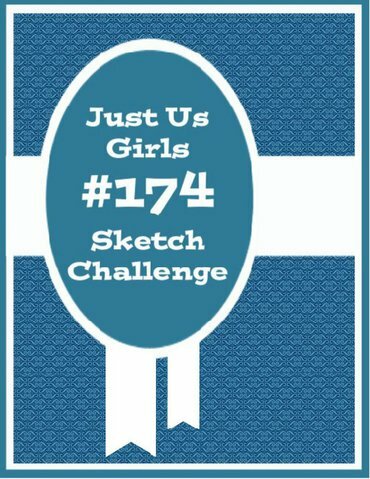 It's time for another challenge from Just Us Girls. 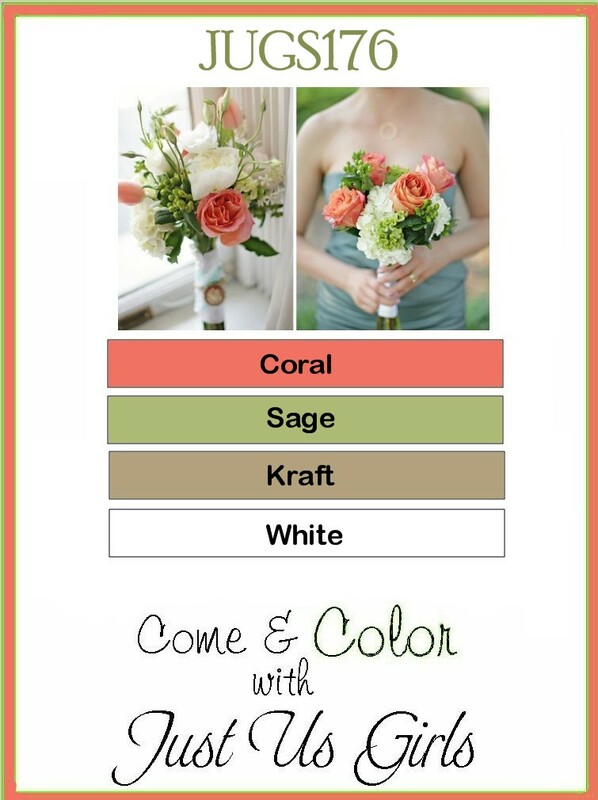 This week is our color challenge, and Marisa has chosen a beautiful soft color palette. I was organizing my craft room a bit the other day and came across this Heartfelt Creations Woven Basket stamp and matching die that I purchased last summer. 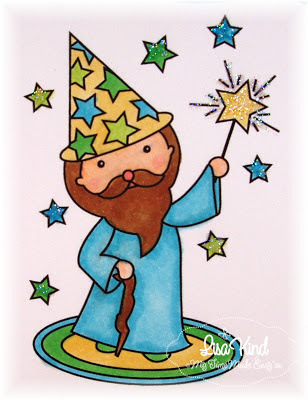 I stamped it in Close to Cocoa ink on kraft paper. Then I went to decorating. I pulled out these flower dies (Heart-2-Heart #7 from PTI) and cut them from My Mind's Eyes Rosy paper. The vine flourish is also from Heartfelt Creations from Sage Shadow cardstock. 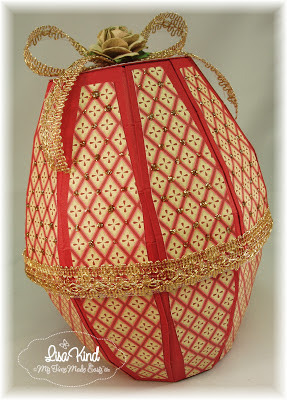 I added some buttons threaded with floss, some Kraft ribbon, and a tag cut from a Martha Stewart punch. It's getting close to Easter, so I chose this sentiment from Mixed Messages by PTI. You should see what the design team created with these colors. Here are some blogs you should visit. Happy Saturday! It's time for another Just Us Girls challenge, and this week I'm the hostess! I chose the masking techinque. There are a variety of ways to used the masking technique, so it should be fun seeing what everyone creates. I used a basic masking technique on my card. 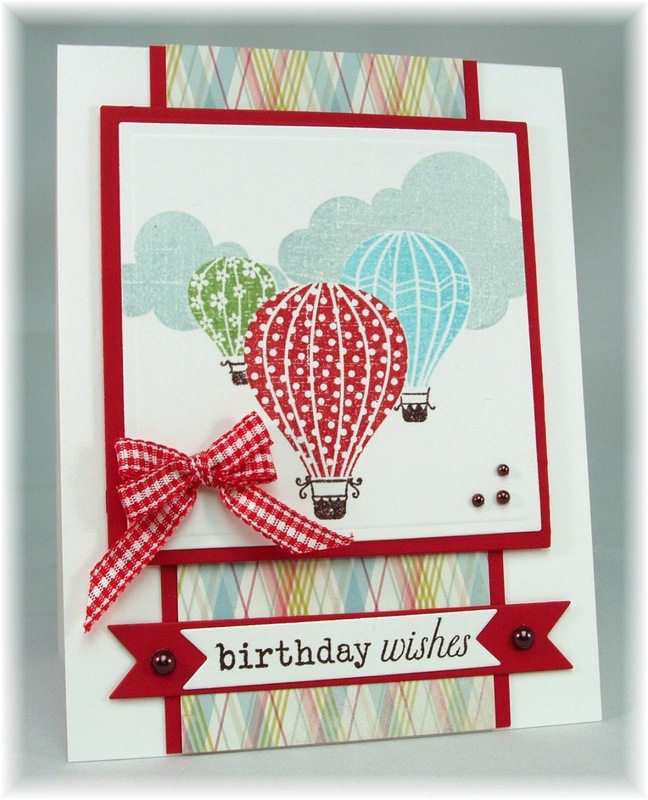 The stamp set I used was Up, Up & Away by Papertrey Ink. I thought these hot air balloons ﻿would be a good choice for masking. When you do this technique, you have the tendency to want to stamp what's in the background first, but that is just the opposite of what you do. 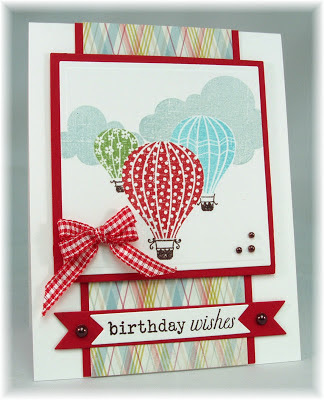 I stamped the big red balloon first, then masked it and stamped the blue balloon and masked it. (I used Eclipse Masking paper, but you can use Post It notes or typing paper with removable adhesive.) 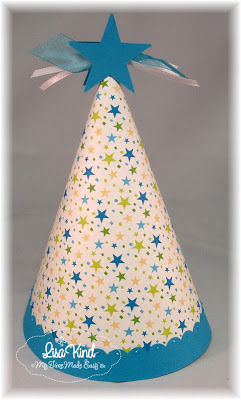 Next, I stamped the green balloon and masked that. Finally, with all masks on, I stamped the clouds and baskets of the balloons. It is a very easy technique to accomplish, but you really have to think about the process before you actually start stamping! There's a new Pretty Palette color challenge going on over at the My Time Made Easy blog. When I looked at this palette again, I thought, "what was I thinking?" But then once I started playing around, I found I really liked this combination of colors. I wanted to stamp and color. MTME has a bevvy of ﻿digital products, but they also have some great stamps. I created the diamond shape background using the Amazing Argyle stamp set. 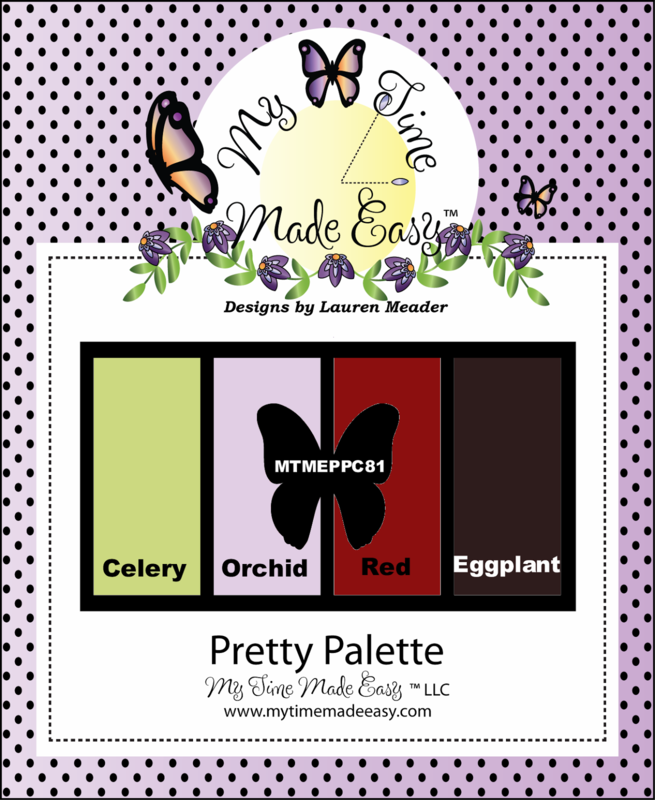 I colored the flowers using the red, celery, and eggplant colors. 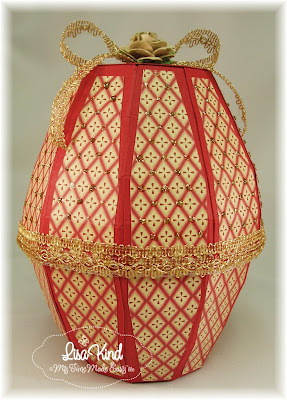 I went searching for some orchid gingham ribbon I thought I still had, but found it was all used up! I came across this orchind rick-rack ribbon and used that instead. I placed a big ol' red heart in the middle and made it a Valentine card. It wasn't my intention, but that's where the inspiration took me! 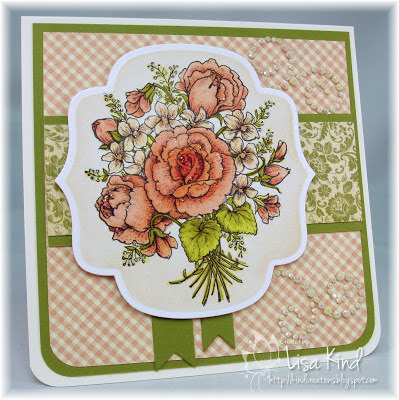 For the sentiment, I reached for the Sentimental Occasions stamp set and stamped it in Versafine black ink. 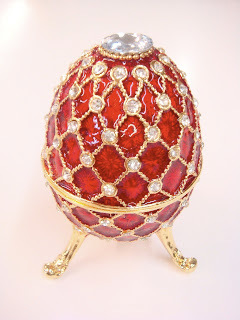 To fill up some of that white space, I added some red crystals. You can see more inspiration for these colors at these blogs. Did you see our new products that were just released over at My Time Made Easy? It certainly was a "royal" release! Today is our monthly Year in Review post for My Time Made Easy. This is where we use old and new products in our creations. 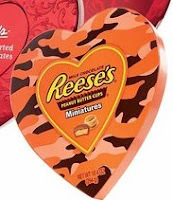 I had something else in mind to make for today, but when I was reading the Sunday ads in the paper I came across this box of Reese's in the Walmart ad and totally changed direction! How cool is this? And I KNEW I could recreate this look easily! So here's the outcome! Sweet, huh? I am totally smitten with this design! First of all, I LOVE Reese's peanut butter cups! My all-time fav candy! 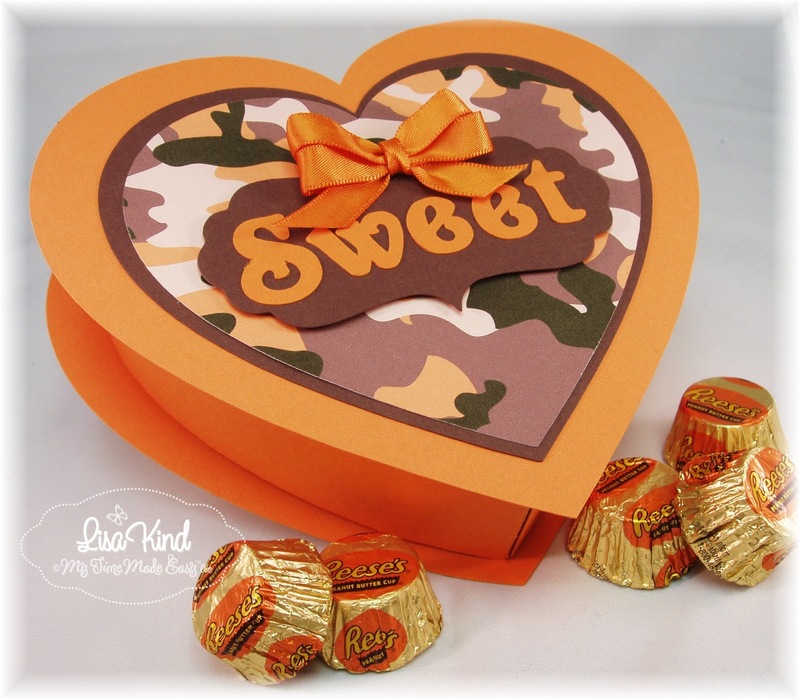 I started by making the heart-shaped box from the With All My Heart template. This template was released last month, and with Valentine's Day just around the corner I thought I'd use it again. The camoflauge paper comes in the Made in the USA package. I recolored it in GIMP to match the picture above, and cut the heart and a brown mat for it using the decorative pieces that come with the template. 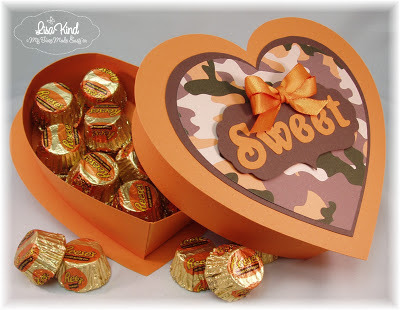 The word "sweet" (and other Valentine words) also comes with the template. I mounted the letters on a label from the Fabulous Frames cut file. The bow was created with the bow easy template. The rest of the team is posting today too, so make sure you stop by these blogs. Thanks for stopping by my blog today! Have a "sweet" week! 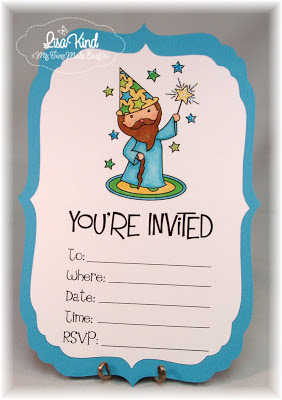 My Time Made Easy - Party Like a Prince! I have another post using new products from My Time Made Easy. 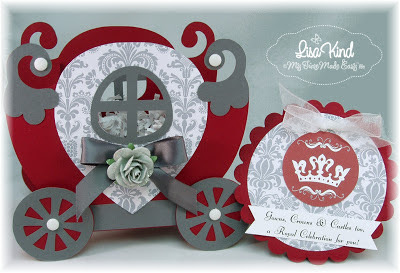 This month, the theme is princes, princesses, and castles. Today I made a party hat made for a prince and an invitation to a magical party. Stop by these blogs for more inspiration using new MTME products. Happy Saturday! I'm posting this late because I forgot last night was Friday and that I had to get a card done. I'm a last minute kinda girl, so that gets me into trouble sometimes! But, I couldn't miss a JUGs sketch challenge! Vicki created this lovely sketch this week. 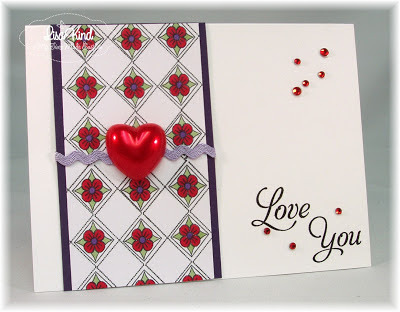 I won this stamp set from Flourishes a couple of weeks ago by commenting on their Facebook page. I couldn't believe it, because I rarely win anything I enter! This set is called Roses are Red, but I decided to color them in peachy color. 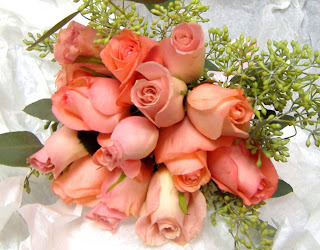 When I got married, my girls carried Sonia Roses (see the picture below). 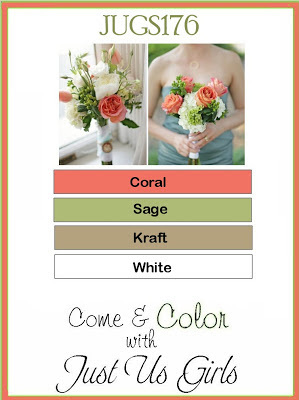 They wore a shrimp colored dress and these roses were such a beautiful compliment. I had stephanotis in my bouquet, and the little flowers in this image I believe are those flowers. 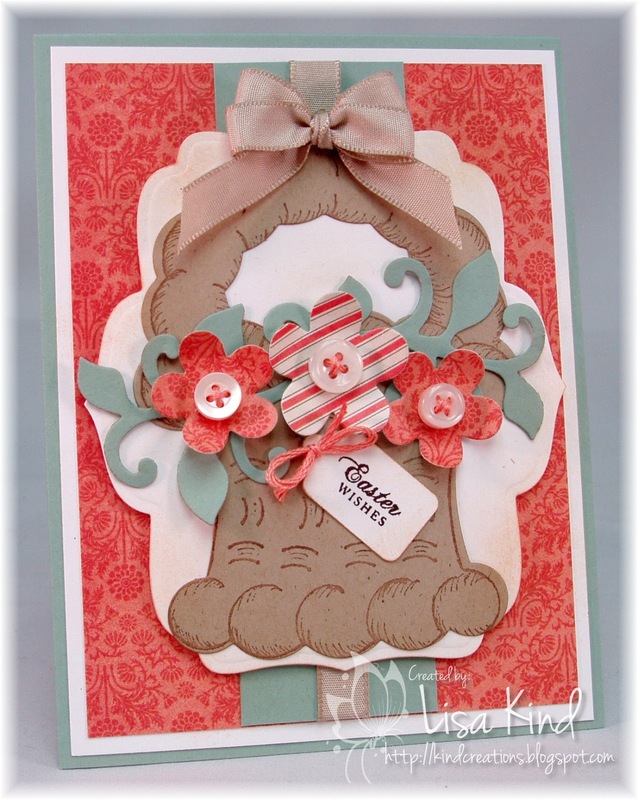 I paired it with paper from Graphic 45's Once Upon a Springtime and olive cardstock. Some Prima pearl flouishes finish it off. I also added some Star Dust Stickles to the flowers. 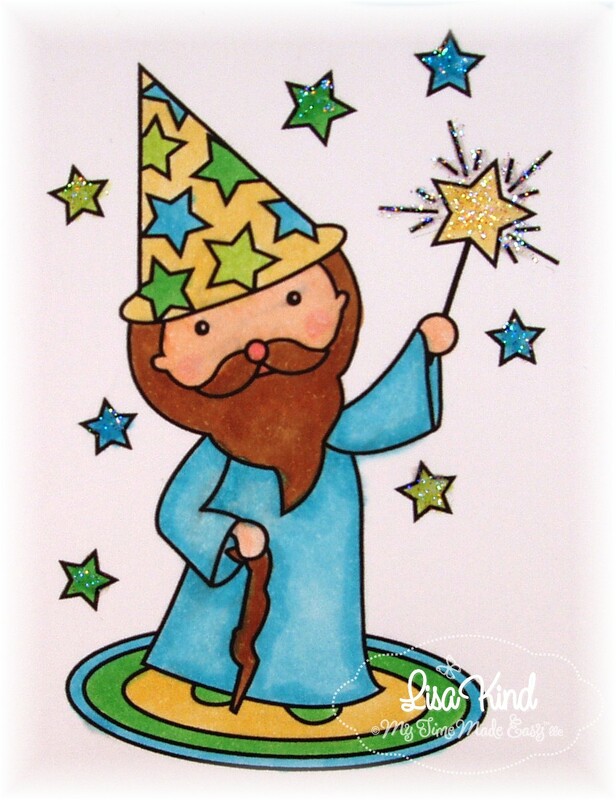 Here is the picture of my inspiration for the colors. The JUGs DT has some beautiful cards for your inspiration. Stop by these blogs to see for yourself! 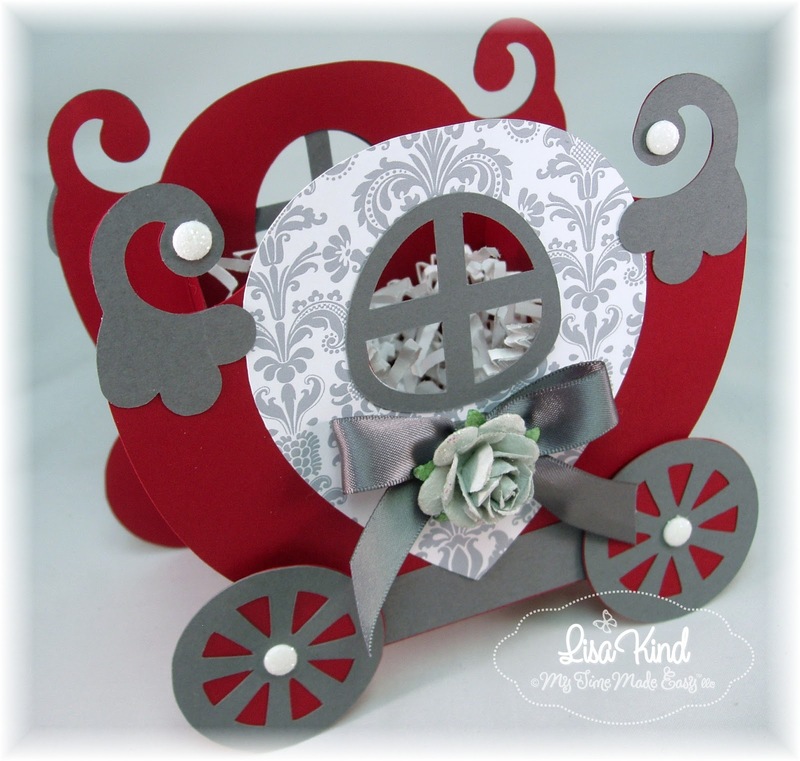 My Time Made Easy February Release - Fit for a Princess! Hi everyone! 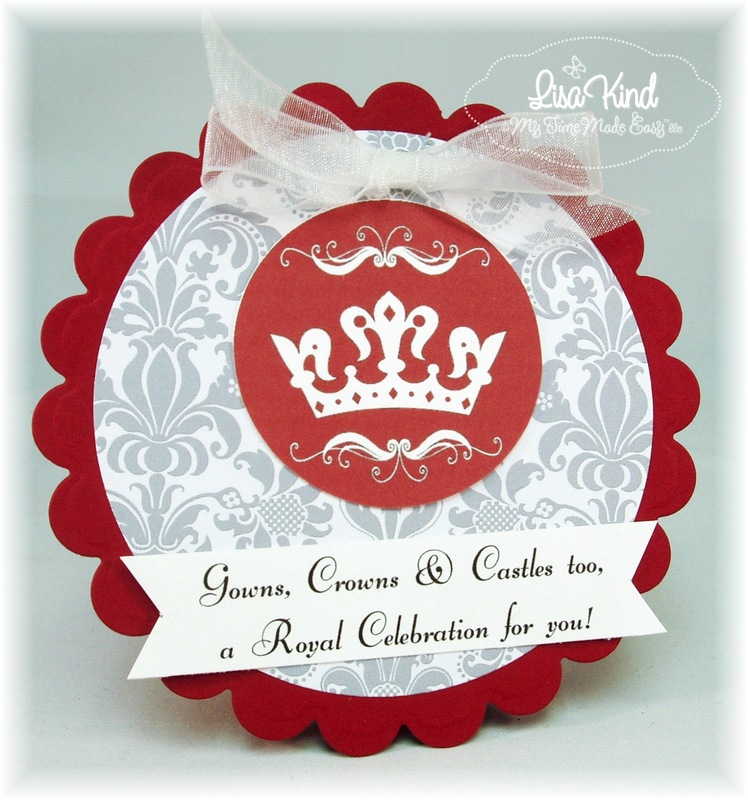 Today is release day over at My Time Made Easy and we have products fit for a princess this month! Yesterday I showed you the Castle in the Clouds, and today I have a companion piece...a royal coach! This template is called Riding in Coach. Adorable, right? What a fun template! And it really is a very easy template to put together. 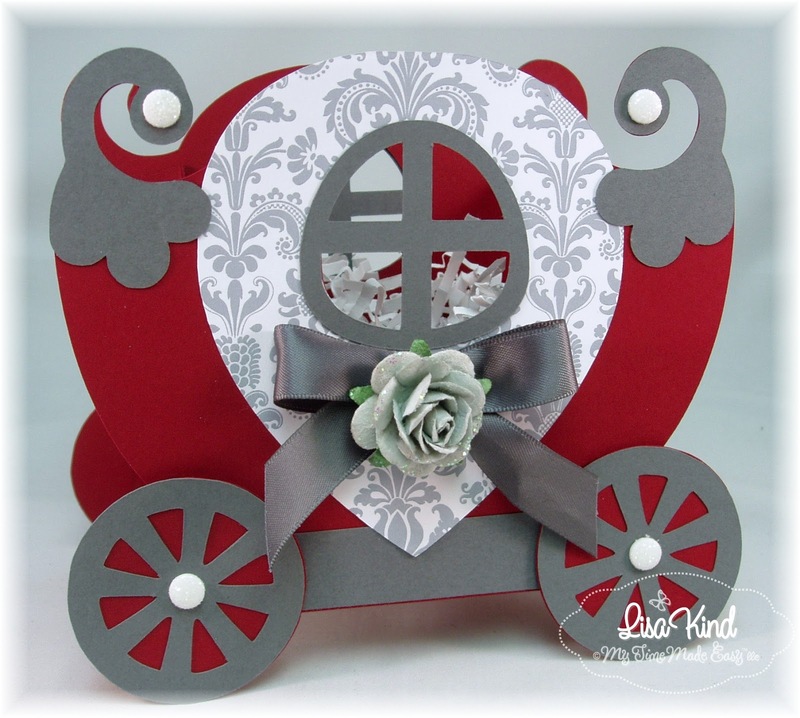 I cut the base from cherry﻿ cardstock and accented it with gray. 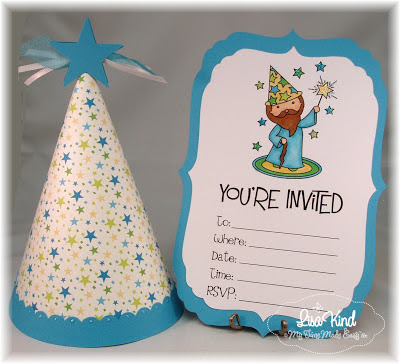 The decorative paper is from the previously released Spring Abound digital paper pack. The red, gray and this decorative paper looked so regal to me! I added some glitter dots, a gray satin bow, and a pretty Prima rose.